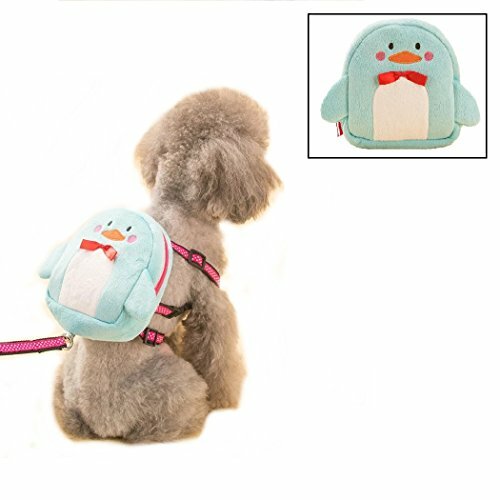 Size S: Chest: 35-55cm/13.8-21.7" backpack diameter: 13cm/5.1"
Size L: Chest: 43-63CM/16.9-24.8" backpack diameter: 17cm/6.7" ; Leash length: 120cm/47.2"
Size: L - Chest: 43-63CM/16.9-24.8" backpack diameter: 17cm/6.7" ; fits for small dogs weight 11-16.5lbs ; The size can be adjusted by using the u-shape button; Leash length: 120cm/47.2"
Material: Made of high quality velvt and nylon, soft and comfortable; Hand wash recommended. Multi-Functions: Perfect as both a harness and backpack. Adjustable quick-release buckle closure at neck and belly for additional security. Component: Zippered pouch for storage of goodies. Comes complete with a matching leash. Feature a sturdy D-ring for easy leash attachment. If you have any questions about this product by Stock Show, contact us by completing and submitting the form below. If you are looking for a specif part number, please include it with your message.